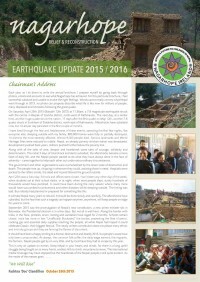 The year 2010 has seen Nagarhope build on both its sponsorship programme and assistance to local schools in the Nagarkot area. Nagarhope Nepal has been officially registered as an NGO in Nepal just over one year which has given us full legitimacy to help those we see as most in need of assistance. 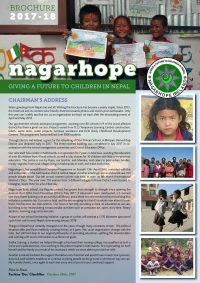 2009 was a busy and successful year for Nagarhope in both Ireland and Nepal. Nagarhope Nepal is now registered with the Social Welfare Council, vital to continuing our work on the ground. 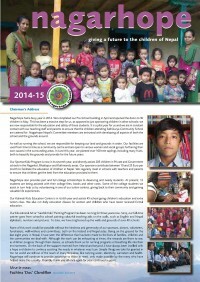 This year saw a lot of community based programmes come to fruition, both in Nagarkot and Kathmandu. 2008 was a frustrating yet productive year for Nagarhope. 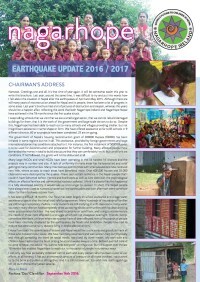 Nagarhope Ireland is now fully registered as a charity, while Nagarhope Nepal is in the process of being registered in Nepal. On the ground on both sides, be it fundraising or funding, Nagarhope is finally achieving some of its set goals and objectives.